1. Traffic is chaotic, yet road rage doesn't seem to exist: By far the most obvious difference. While a driver's license is technically required in Vietnam, the traffic code is rarely enforced and driving is basically a free-for-all. Motorbikes are the predominant mode of transportation due to their low cost and maneuverability, and moto drivers will squeeze into every available opening as they weave through traffic. 2. Salutations are age and gender-specific: To get someone's attention, the proper approach is to say the correct pronoun and follow it with oi (literally "hey" in Vietnamese). The pronouns I've found to be the most prevalent are chi for women who are older than you (anh for older men), and em to address any person younger than you. For example, if you're at a restaurant and trying to get a younger server's attention you'd say, "em oi!". As you can imagine, trying to guess if someone is older or younger than you can lead to awkward situations. Luckily I can play the ignorant foreigner card and pretend to have mixed up the words if I've guessed wrong1. 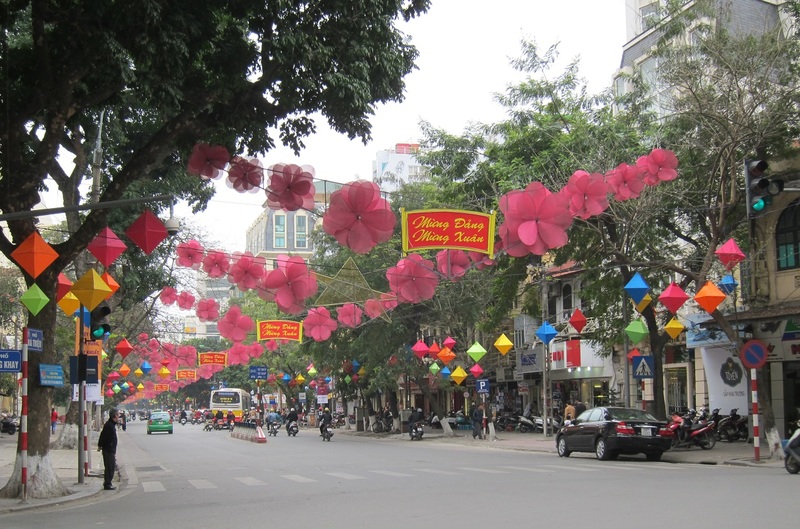 1 I recently learned that Vietnamese culture is big on letting others save face. There's a strong chance that is what's happening to me, which I'm ok with. 3. 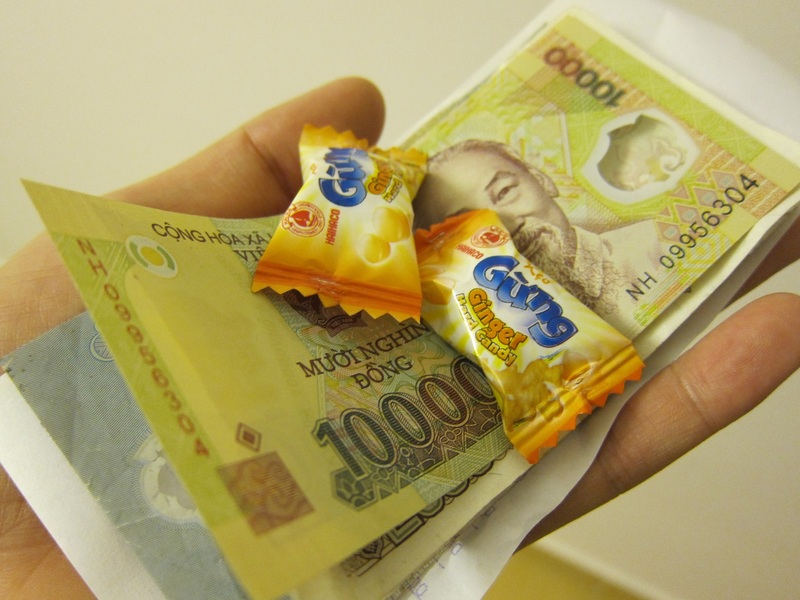 Candy is given in lieu of small change: If the amount of change from a transaction is small enough (say, under 1000 Vietnamese dong - about 5 cents USD), supermarkets or convenience stores will give you pieces of candy instead of cash since smaller denominations are basically worthless. The smallest is officially a 200₫ bill, but the smallest I've actually seen in circulation is a 1000₫ bill. 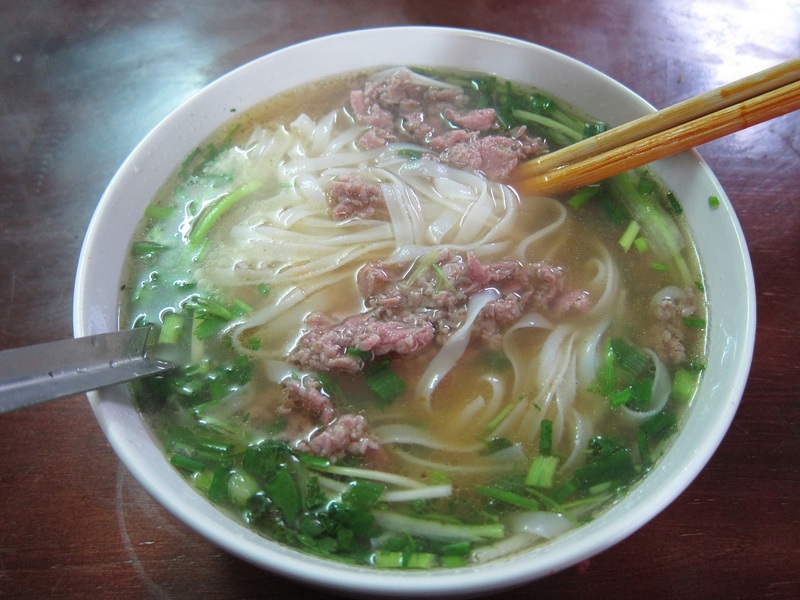 For comparison, a bowl of pho (a popular breakfast dish here) can be bought on the streets for 25,000 dong ($1.20 USD), whereas a comparable bowl in the States would cost around $7. According to World Bank estimates, Vietnam is ranked 129th out of 180 countries by GDP PPP per capita, which measures a nation's wealth while taking cost of living into account. The US is ranked 8th. 4. 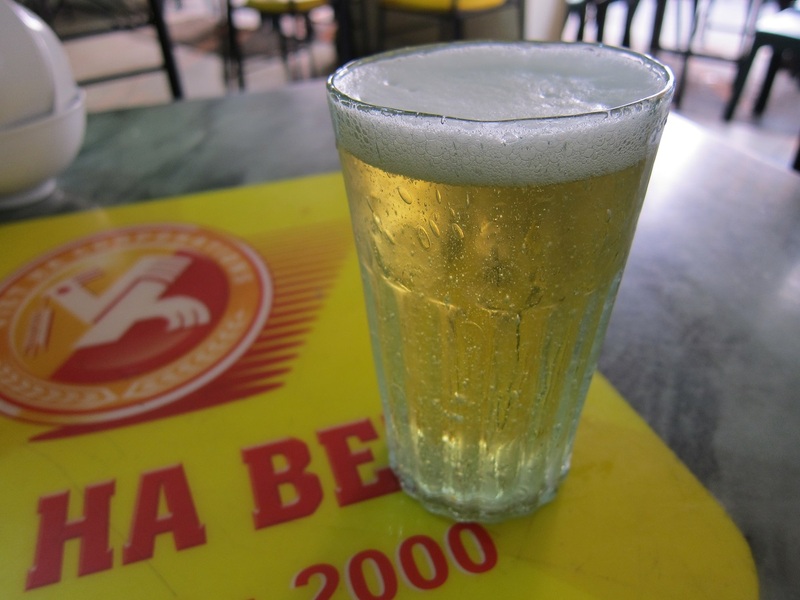 Beer is enjoyed at all hours of the day: Bia hoi is a very popular type of draft beer that's locally brewed and delivered to vendors daily. It doesn't contain any preservatives, so it's best enjoyed early in the daytime before the taste changes too much or goes bad. If you walk by any bia hoi place in the morning, you'll find the purists having a couple glasses with breakfast since that's when it tastes best (relatively speaking). With only 3-4% alcohol and a light taste, bia hoi strongly resembles the "big 3" light beers (Bud, Miller, Coors). On the plus side, at 5000 dong a glass ($0.25 USD) it's only a fraction of the price of other available drinks. Cheers! 5. Afternoon naps are strongly encouraged: After coming back from lunch on my first day at my MFI, I sat down to resume work. A few minutes later I noticed a colleague getting up to dim the lights. I turned around and everyone either had their heads down at their desks or had rearranged the office chairs to form makeshift beds. They woke up 20 minutes later and resumed working. It turns out the midday nap is a common practice in offices throughout Vietnam, perhaps due to the heat or simply because many Vietnamese are early risers and need a short rest (people can be found exercising around Hoan Kiem Lake at 6am). After initially declining my coworkers' requests join them, I finally decided to do it. As I'm sure the other Kiva Fellows can attest to, sometimes we just have to make sacrifices2 to fit in. Now that I've fully embraced workplace napping, I decided to do some research and found that more and more studies are indicating that midday naps can improve health and increase productivity. A growing number of companies are shifting towards this practice, so dedicated naptime may be coming to your company in the near future! 2 Not a sacrifice at all, naps at work are incredible.